Brenda Gael McSweeney presented her credentials as the UN Resident Coordinator and UN Development Programme Resident Representative in India in January 1998. Dr. McSweeney was designated to undertake these dual responsibilities by United Nations Secretary General Kofi Annan and the UNDP Administrator, respectively. The country cooperation with India represents UNDP’s largest single partnership globally. Around US$ 400 million in UNDP grant assistance were managed for the Ninth and Tenth Five-Year Plan periods by Brenda, to help the country address the vital issues of human development and gender equity, technology and sustainable livelihoods, management of development/governance, energy and the environment, and natural disaster prevention and recovery. She was also responsible for coordination of operations of UN organizations in India, focussed on the twin themes of India’s UN Development Assistance Framework, promoting gender equality and strengthening decentralisation. Just prior to this assignment, Brenda served as Executive Co-ordinator of the United Nations Volunteers (UNV) Programme, since 1988. This involved leadership of the UNV Programme with nearly 4,000 UNV specialists working annually in technical cooperation in the economic and social fields, community-based initiatives for self-reliance, humanitarian relief and rehabilitation, and UN peace-keeping operations. On 24 October 1997, Dr. McSweeney was awarded, on behalf of the UN Volunteers, the Médaille de Chevalier de l’Ordre National from the Government of Burkina Faso in tribute to this meaningful and innovative work. Born in Boston, Brenda is a national of the USA and Ireland. She holds a Bachelor of Arts degree from Smith College, Northampton, Massachusetts and a Doctorate from The Fletcher School of Law & Diplomacy, Medford, Massachusetts. In Geneva, she attended courses at the Graduate Institute of International Studies and the Institute of European Studies. 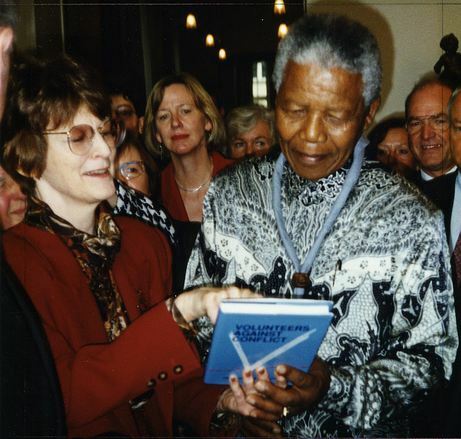 As a Fulbright Scholar in Paris from 1967 to 1969, she studied international development assistance at the Institute of Political Science of the Sorbonne. Her doctorate was in development economics. Following teaching and research activities at The Fletcher School, Tufts University and Harvard University, and economics analyst assignments with the private sector and U.S. Government (Executive Office of the President), Dr. McSweeney served with UNDP as Programme Officer, then Assistant Resident Representative as of 1972, based in Ouagadougou, Burkina Faso, and spent six years there; during the last year of her assignment, she carried out action-research in the area of women and development. Three years as a Senior Policy Analysis Officer at UNDP Headquarters in New York were followed by her appointment in 1982 as the Kingston-based Resident Representative of UNDP and Resident Coordinator of the United Nations System’s operational activities for development in Jamaica, The Bahamas, the Turks & Caicos Islands, the Cayman Islands and Bermuda. She is the author of a number of journal articles. The Prime Minister’s Medal of Appreciation was awarded to Dr. McSweeney in Jamaica in 1988, and she served as a Founding Trustee of the Educational Trust Fund and Women’s World Banking – Jamaica. She received a Doctorate of Humane Letters Honoris Causa from the Monterey Institute of International Studies, Monterey, California, 1994 and served as a Trustee. 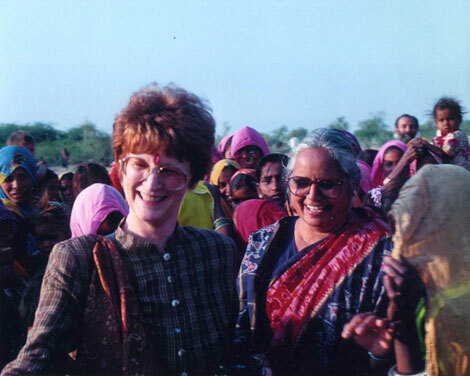 In 1997 she became a Patron of the Global Co-operation Council/North-South Forum; and in 2001, a Founding Member and Co-chairperson of the Governing Board of the India Partnership Forum launched by the Confederation of Indian Industry and UNDP. In 2002, Brenda was elected Academician of the International Informatization Academy, and serves on the Advisory Board of UNDP’s Regional Programme for Africa. In 2003, Brenda was designated the first-ever Visiting Scholar at Boston University’s Women’s Studies Program (WSP), where she teaches a seminar on Gender and International Development. She has also been teaching at Brandeis University’s Heller School for Social Policy and Management, and UNDP’s Virtual Development Academy. She is a Resident Scholar at the Women’s Studies Research Center (WSRC) at Brandeis. She leads a UNESCO/UNITWIN (University Twinning) on Gender, Culture and Development linking BU with three prestigious Indian universities and social activist NGOs in India and Burkina Faso.